Google has released the Developer Preview of the next version of Android, Android 8.0 O. The Developer Preview has been released much earlier than the Google I/O 2017 same as last year, when Google released the Developer Preview of Android 7.0 Nougat (Android N at that time). This Developer Preview is still a very early beta build, and is not intended for daily use. This Developer Preview is for the Android app developers who can start to port their apps to next version of Android. The major features and changes to Android O will be known at the Google I/O 2017 but we have many changes from the last version in the first Developer Preview as well. This post is to show all the minor and major changes that are introduced in the first Developer Preview of Android O. As is the case with all the major versions of Android, whenever a new version of Android is released, we have a bunch of new wallpapers which come as default wallpapers for that version. The default wallpapers also reveal some interesting things about the features in that version of Android. For instance we saw Android 5.0 Lollipop come with Material Design Wallpaper and that version of Android was all about the start of Google’s new design language-Material Design. We don’t have many wallpapers in first Developer Preview of Android O but we surely have one default Wallpaper. 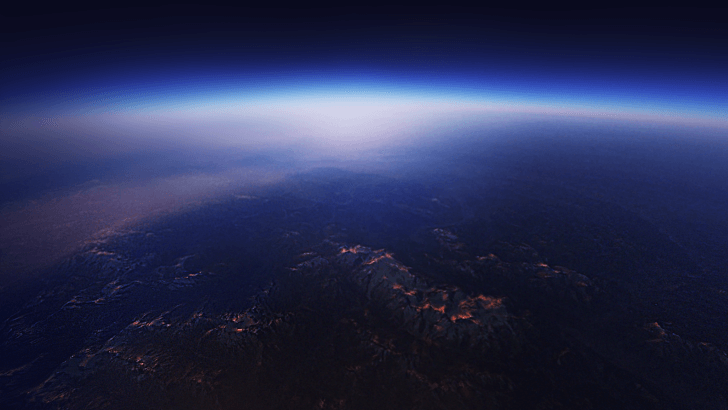 The Wallpaper has been uploaded in the full 2880×2560 resolution on Google Drive. There have been some changes in the first developer preview of Android O. This changes have also made it to the Quick settings and the notification panel where whenever we tapped on the icon or the test beneath it, we could get to the expanded settings page. This behaviour has been slightly changed now and we can only access the expanded settings whenever we tap on the text and not on the icon. This has been well explained in a screen recording by the folks over at Android Police. This feature is a UI/UX improvement as we can be sure how to get to the expanded settings and how to toggle the icons on and off. One more change in the Android O Developer Preview is that we can no longer place the Battery percentage text inside the Battery Icon. Instead the percentage text has been moved next to the battery icon. 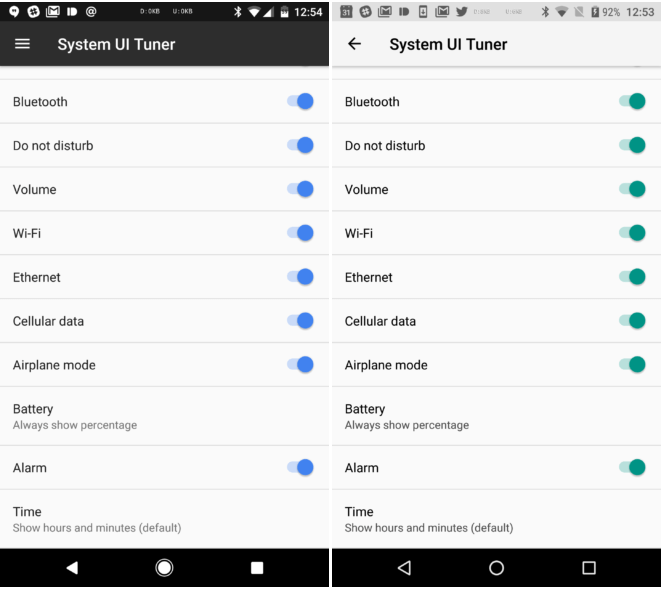 This feature has been removed from the System UI tuner, a hidden setting in the Android Settings which can be used for some customizations to the status bar. 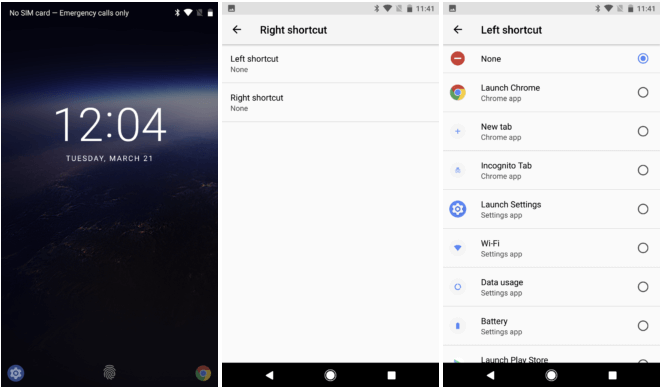 This feature has been removed from the Android O Developer Preview but there is still plenty of time for the Android O official release so it can be brought back. One more minor change in the Android O Developer Preview is that the Quick Settings now shows some more information in a single pulldown. 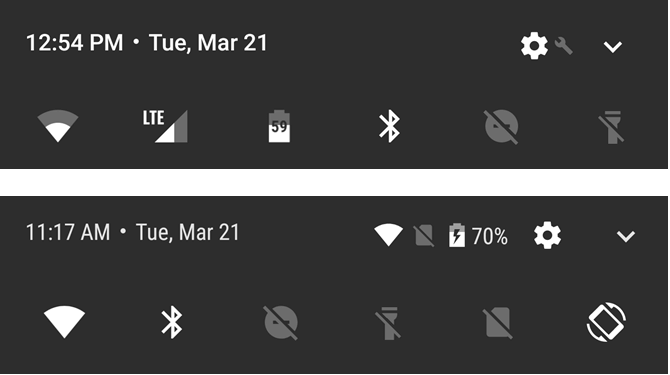 Earlier you pull down the status bar on your Nexus or Pixel running Android 7.1, you’ll see the time, day, date, and a settings quick access button in the status bar area. In the new Android O preview, we have a new cleaner font for the time and date information. 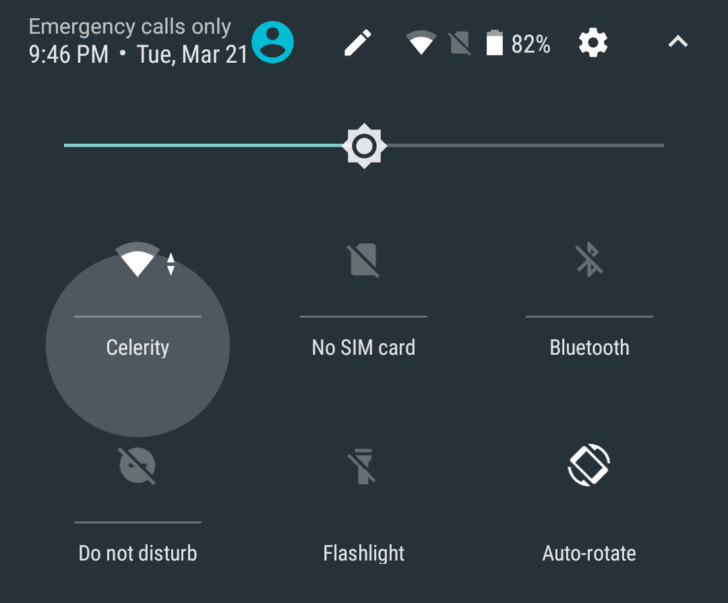 But we also still see our connectivity statuses for Wi-Fi and mobile data, the current battery percentage , and the individual battery icon is gone. 5. We can now set custom applications as lock screen shortcuts. One feature that we all wanted was a way to set the custom lockscreen shortcuts other than the deault ones but this feature was missing from stock android for a while. We can only set dialer and camera as the two lockscreen shortcuts but now in Android O DP1 things have changed, we can now set custom applications as lockscreen shortcuts. This change in the Android O DP1 can be termed as a major change from the settings app we saw in Android Nougat. 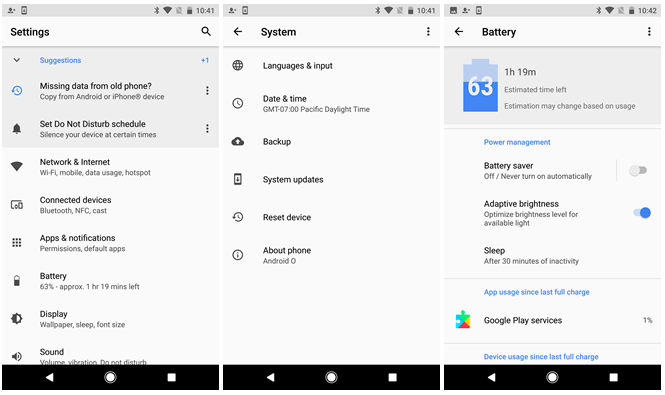 The settings app has been completely revamped now and we can see that Google is moving to an organizational approach much more like a smartphone manufacturer, organizing categories of settings at higher levels, resulting in a much shorter top-level settings list. It’s half or less the size of the settings menu on the Pixel on the current Nougat beta – which should tell you how extensive a change this is. One more thing to note that is that the slide out menu from Android Nougat is gone which helped to navigate from inside the sections of settings app to the other sections of the settings app. This have been the minor/major changes we have come to know so far in the Android O Developer Preview 1. If you want to get the Developer Preview for your Nexus/Pixel devices, head over to Android Developers where the factory images are live for the compatible devices. 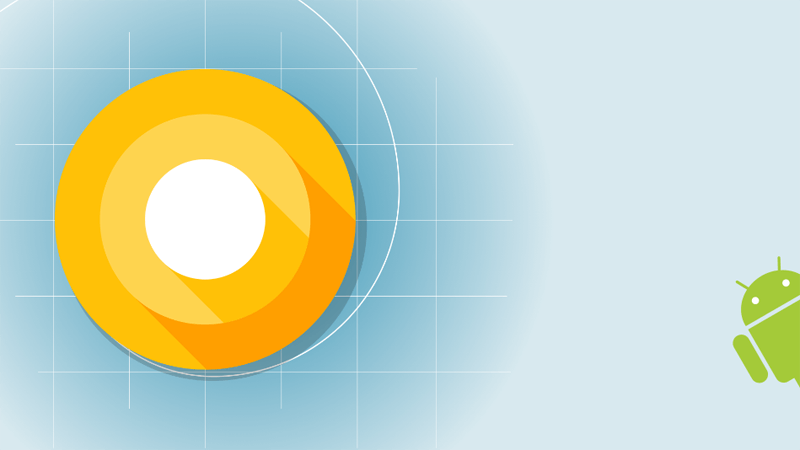 Stay tuned as we know about more changes in the Android O Developer Preview.